Our daughter is kinda happy about the new chickens. 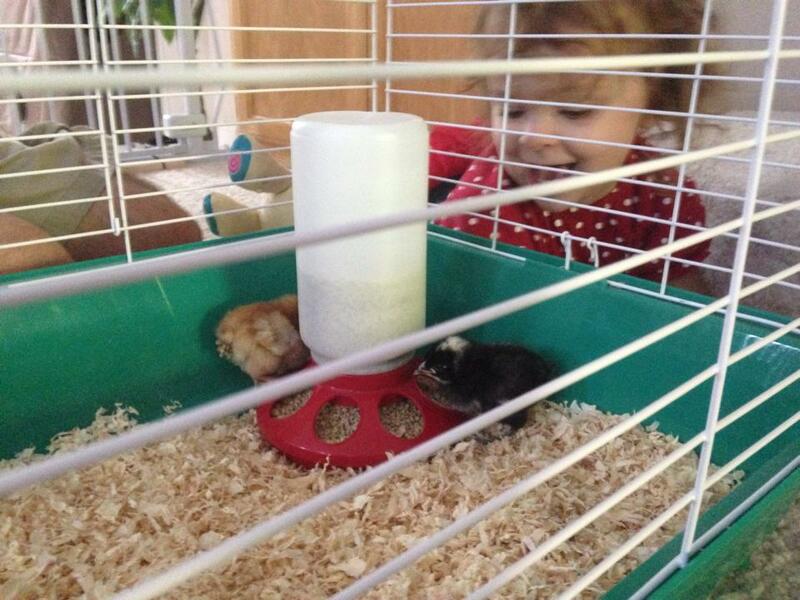 We finally took the plunge and brought a couple of baby chicks home. As I mentioned in an earlier post (Kids make Messes), I had been thinking about getting chickens so our daughters could play with them, eat fresh organic eggs, and learn that food doesn’t all come from a store-bought box. We decided to get two so they would have a friend (but a family of four only needs so many eggs). Knowing my plans, my folks graciously gifted me a cute little chicken coop for our backyard. After doing a little research on chicken breeds (since I’m beginning this project with almost no chicken knowledge), I first looked into the Leghorn variety. Why? 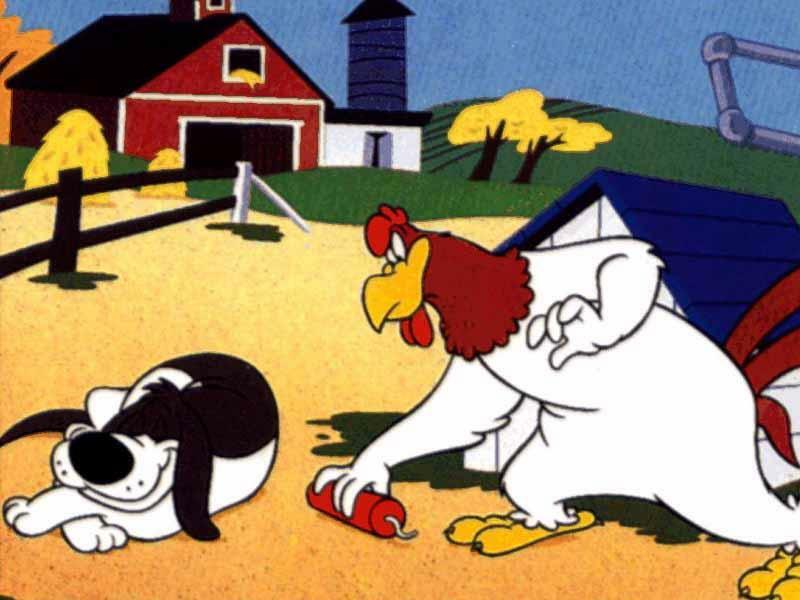 Well, Foghorn Leghorn, of course (that’s how little I know about chickens–I’m referencing talking cartoon characters). Turns out, American Leghorns were bred for high egg production, not personality, and are basically jerks. This doesn’t work for my granola fantasies about my daughters bonding with their new chicken buddies. The Rhode Island Red is a very controversial breed. Many owners said they are bullies who boss around other chickens, while other owners claimed they are the sweetest chickens they have ever had. After reading a lot of conflicting diatribes, I got the impression that Rhode Island Reds have a lot of personality, which can either be extremely friendly or belligerent. Ultimately, John and I decided to just go into a feed store in Loomis and grab whatever appealed to us. We stuck our hands in a giant cage packed with miscellaneous chicks and went on a petting frenzy. Fuzzy yellow dandelion butts scattered to and fro in a chorus of peeping as the clerk pointed out breeds (how the heck could he tell which breeds he was looking at, I haven’t the foggiest idea). We ended up choosing the ones that didn’t run away when we tried to pet them: a Rhode Island Red (who we named Rosie) and an Australorp (named Hester). I grilled the clerk at length about how to care for baby chicks before we went home to set up their little cage with a warming light bulb. As you can see from the above photo, Brontë is absolutely tickled pink to have baby chickens. We pull them out to pet them at least once a day, since we want them to be as tame as possible around our babies. Our daughter stares at them for hours, wide-eyed. She yells out “Eat!” when they peck at their feed and “Milk!” whenever they drink water (all liquids are “milk” to Brontë). She is beside herself giggling and chirping at them. She is also very protective of them, having appointed herself First Lieutenant of Cat Patrol. Brontë goes berserk whenever a kitty veers too close to the chicken cage, yelling “NO NO! BAD! GO AWAY! NO!” Cartoons have already taught her to be suspicious of cat intentions around little birds, much as she loves the kitties. I can’t wait to see her gather the first eggs. Good for you! You’re going to love your chicks!